Welcome to the T&A Jigs web store. 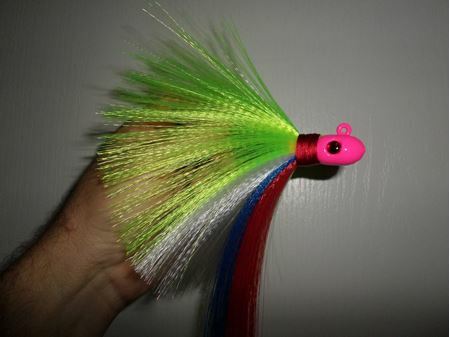 Build a pompano jig to your exact specifications! 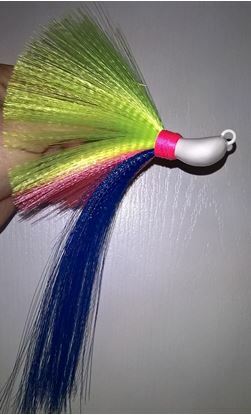 Choose a weight, head color, thread color, and hair color options. 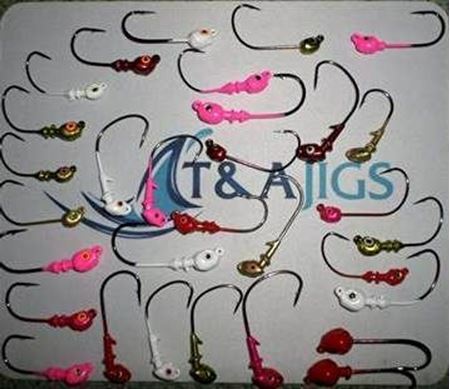 Barbed Bullhead Jigs (for soft plastics) Available in wide gap J Hook or extra wide gap Kahle style hook (kahle hook is the jig on the right in the picture). 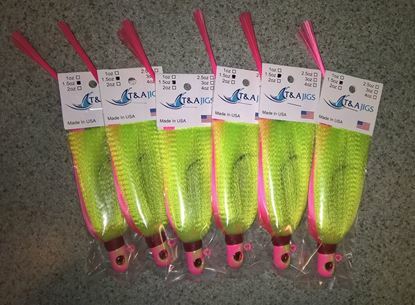 Sold in packs of 3. ** Note - 1/16oz only available in Kahle style hook! 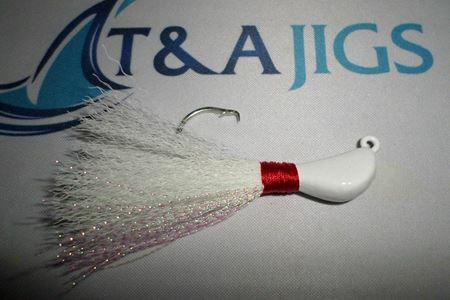 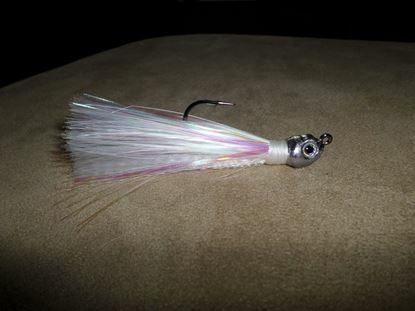 These flashy jigs perfectly imitate a glass minnow, favorite forage for Spanish Mackerel, bluefish, ladyfish and just about any other nearshore predators. 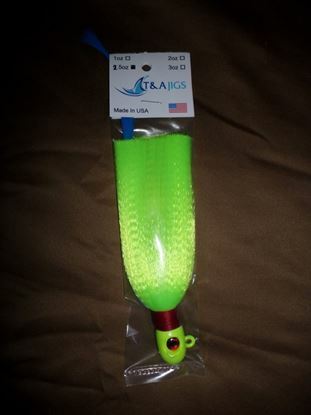 Comes with unpainted head and 3d eyes! 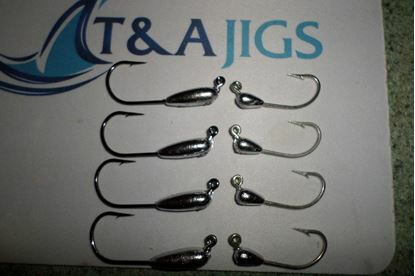 5 Pack of Gog Bugs. 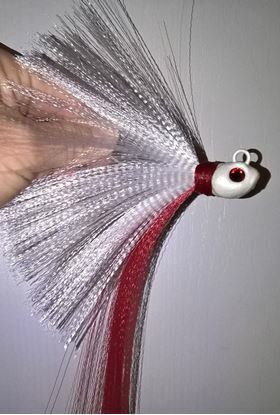 1/8 oz. 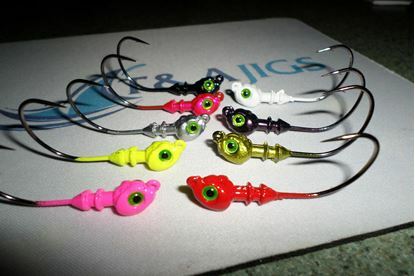 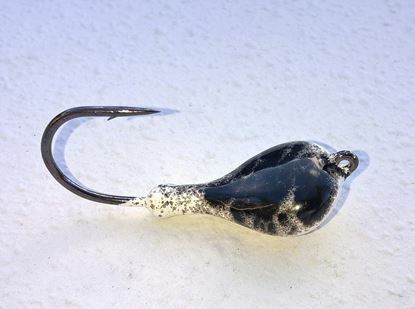 These jigs are specifically designed to target Goggle Eyes but can work for many bait species. 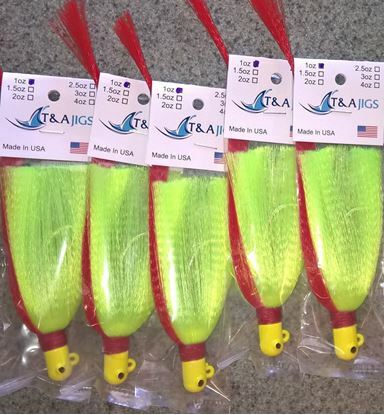 Perfect choice for Spanish Mackerel, bluefish, and other hard hitting predators. 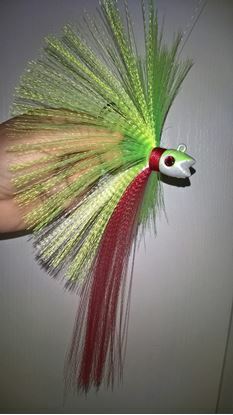 These jigs are build on a heavy duty steel hook and some with a painted head and 3d eyes for the ultimate in durability and realistic presentation. 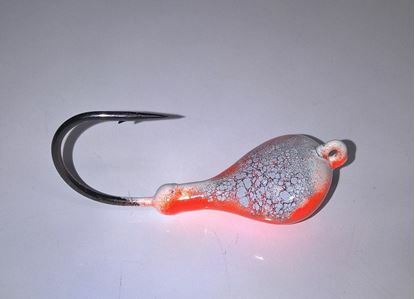 Another effective variation of our versatile snook flare! 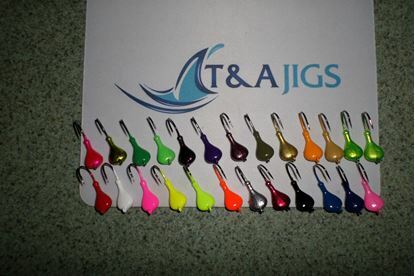 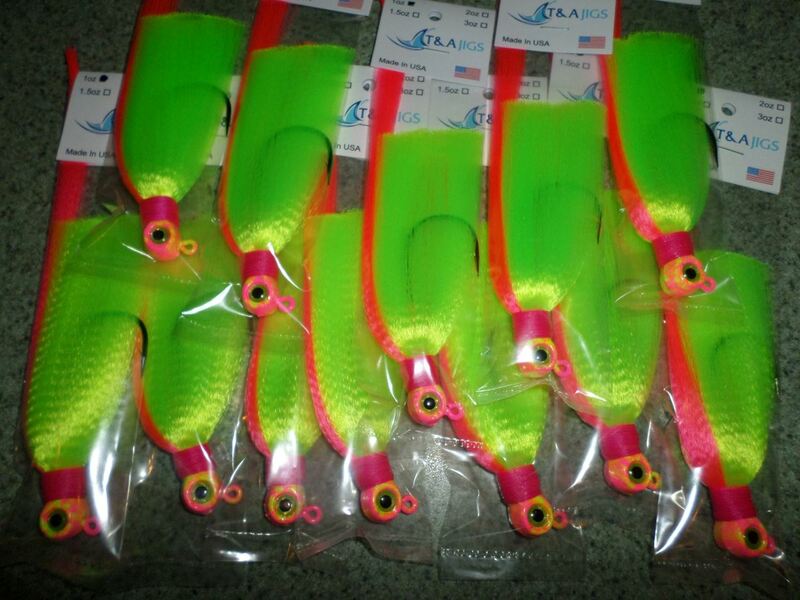 Teaser rigs to add to our Wacky Pompano Jigs or any other jig. 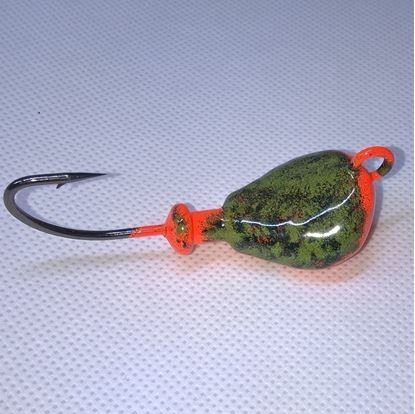 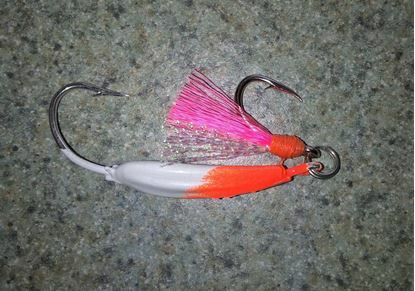 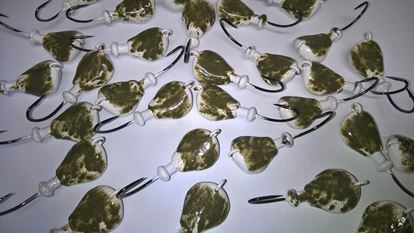 Adds fish attracting wobble to any jig. 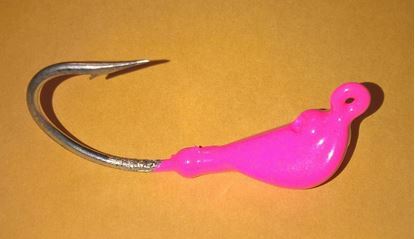 Our special Sparkie Blackfish Jig head. 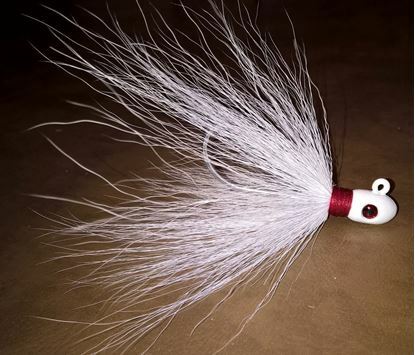 Comes with a strong black nickel hook and comes in white legger color. 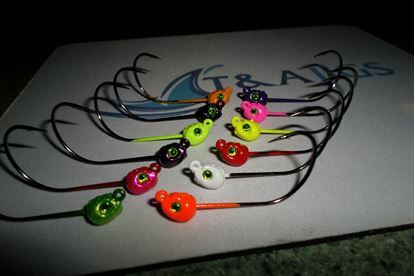 Each order comes with 3 jigs. 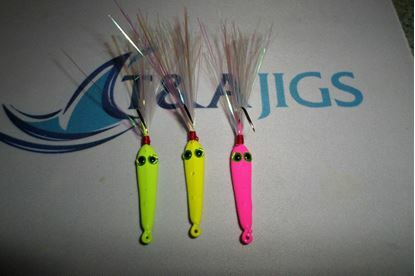 Unpainted tube jigs, come in packs of 3. 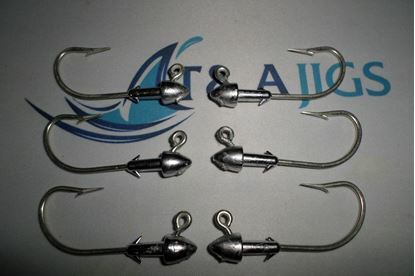 Choose Black Nickel hooks or Steel Hooks Same Price. 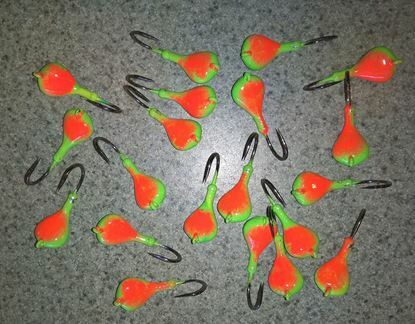 2 pack of our popular Wacky Pompano Jigs. 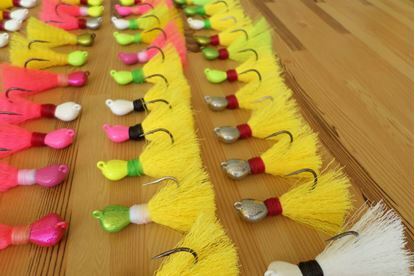 The erratic wobble of these jigs will catch anything from Pompano to Snook to Mackerel and everything in between. 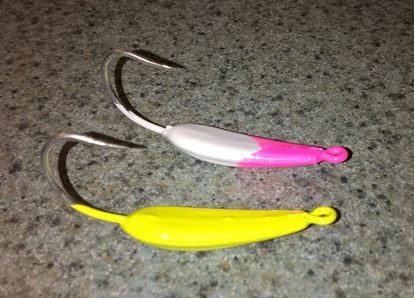 Use naked or tipped with your favorite bait. 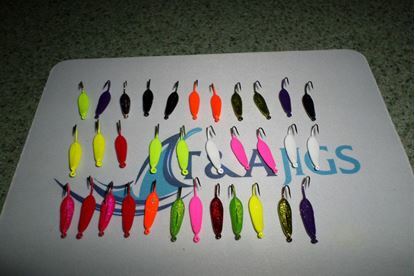 Choose your size/color combination below! 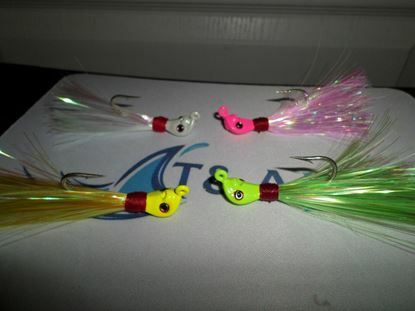 1 pack of our popular Wacky Pompano Jigs, with a teaser. 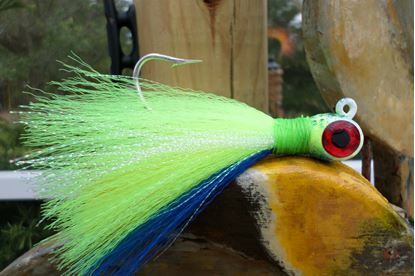 The erratic wobble of these jigs will catch anything from Pompano to Snook to Mackerel and everything in between. 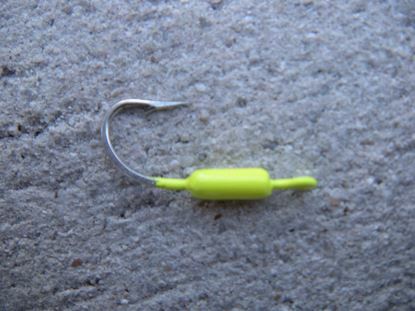 Use naked or tipped with your favorite bait. 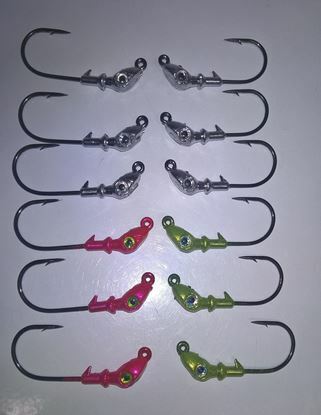 Choose your size/color combination below!